The Club @ Bukit Utama is Bandar Utama's latest gem. Set within its sprawling ground is a host of recreational and sports facilities available exclusively for members and their families. 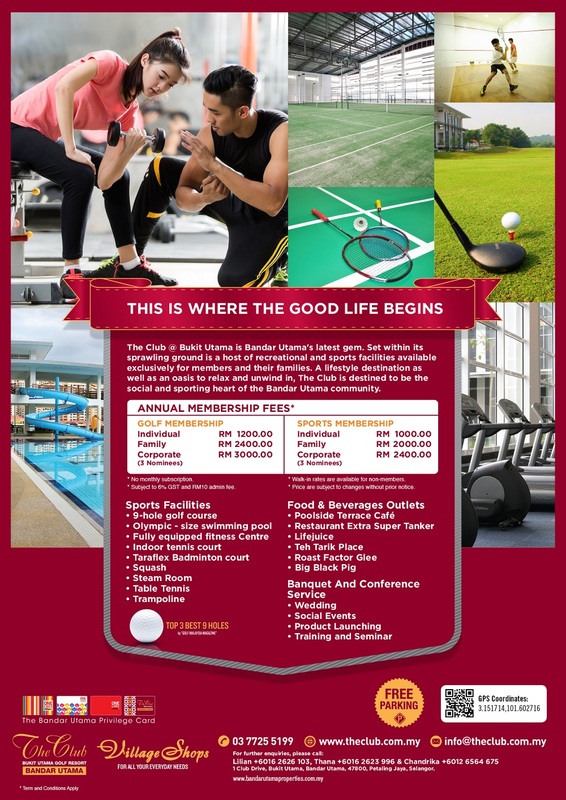 A lifestyle destination as well as an oasis to relax and unwind in, The Club is destined to be the social and sporting heart of the Bandar Utama community.